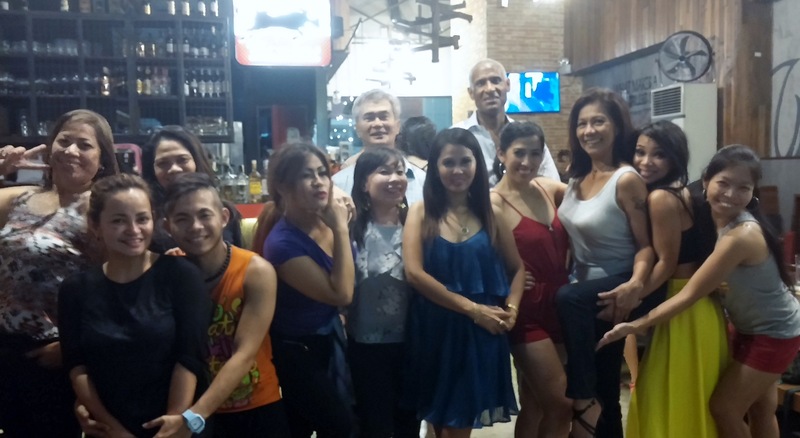 Manila has a very vibrant and enthusiastic Latin dancing community. There are many dance venues. Something is going on every night. 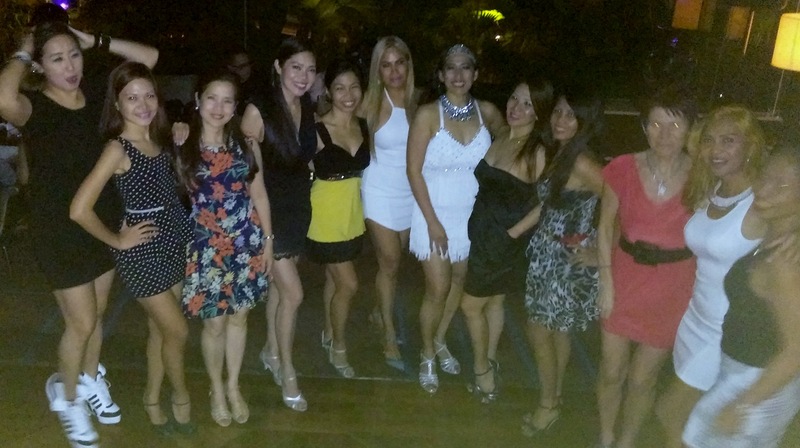 Some nights there are multiple opportunities for dancers to enjoy dancing. In a large city like Manila I guess that should not be surprising. But in my two short visits there it seems that many in this community take advantage of these opportunities almost every night. I arrived in Manila late on a Saturday night. 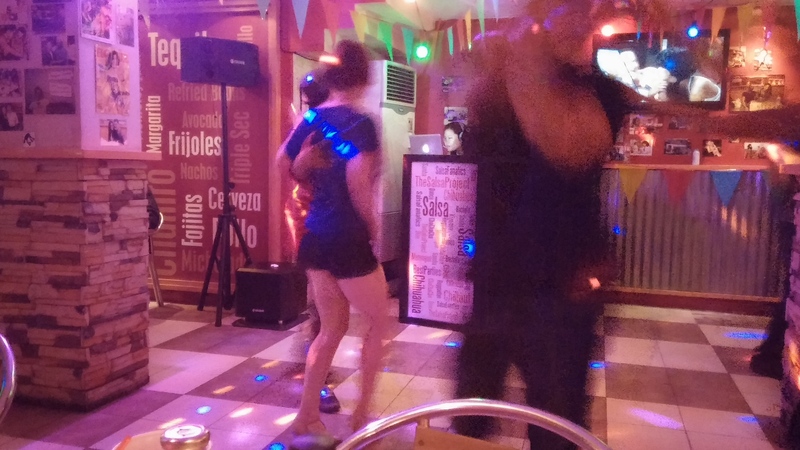 Nevertheless, after checking in and freshening up, I headed directly to Chihuahua Mexican Grill in Makati for some dancing and to see if I might find some dancers I met on my previous visit. 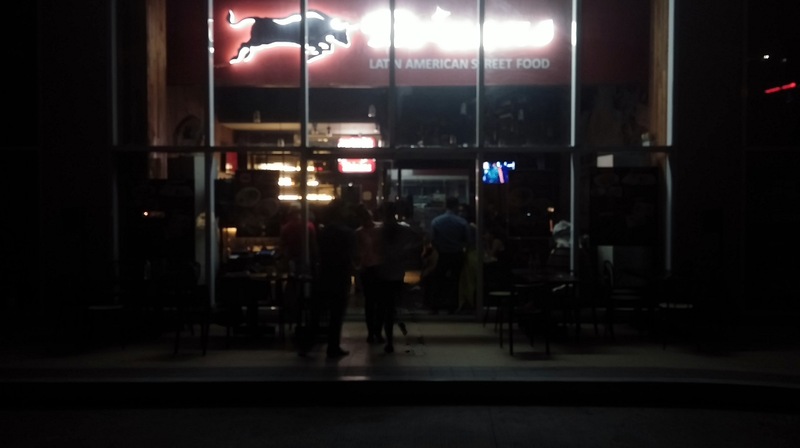 Chihuahua is located on Makati Ave across from A Venue mall. It was only a 10-minute walk from Picasso Boutique Hotel. 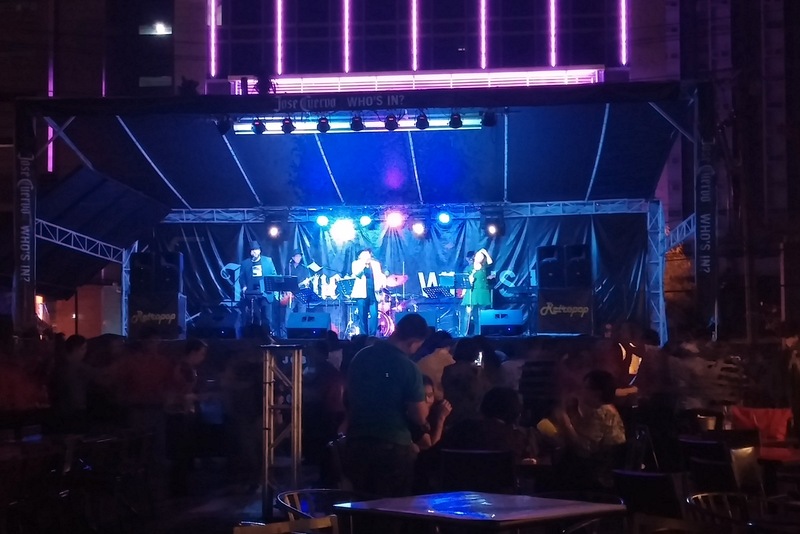 Chihuahua has a small dance area, but salsa and bachata packs the floor. Unfortunately, I did not see some of the dancers from my first visit. A tip from a friend led me to Sage Bar at the Shangri-la Hotel on Monday night. Sage bar is a high-class venue. Eileen Sison was performing. She is one of the mainstays of the dancing and live music scene. Eileen also trains and leads a Brazilian Samba performing group. Many of the ladies from the Samba group were there. Also Charm Garcia, who was just returning from a cruise ship gig in Tahiti, I think, sat in for a couple of songs. Yna Miranda-Dalisay is one of the more dedicated and accomplished Manila dancers. I met Yna and Eileen on my first trip to Manila. Along with Charm Garcia, they were extremely gracious in bringing me into their dancing and singing community. My apologies ladies for the poor cell-phone photography. 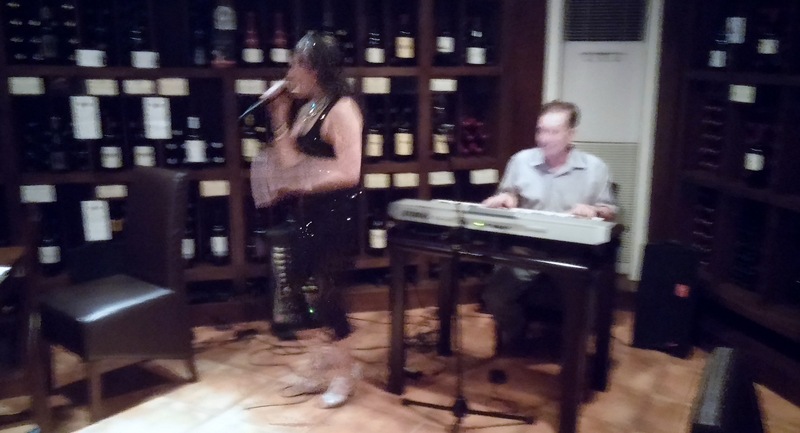 The next night Charm was singing at the Blue Note Café in Makati. The dancers here are more ballroom style than at some of the other venues. Charm was singing with a different band but sounded great. The neat thing about the 7th Note Bar is that it is located on the ground floor of the Makati Golf Club. Yes, a golf club in the middle of Metro Manila. Well actually it is a driving range built over the businesses on the first floor and the parking lot in front of the entertainment complex containing the 7th Note Bar. Still, it was quite a surprising and pleasing find since my favorite activities are dancing and golf. Although not clear from the picture, the net for the driving range extends over the parking lot to create a range that is approximately 125 yards deep. The range features a device that automatically tees the next ball after each shot. You get an unlimited number of balls during the day for a nominal fee. 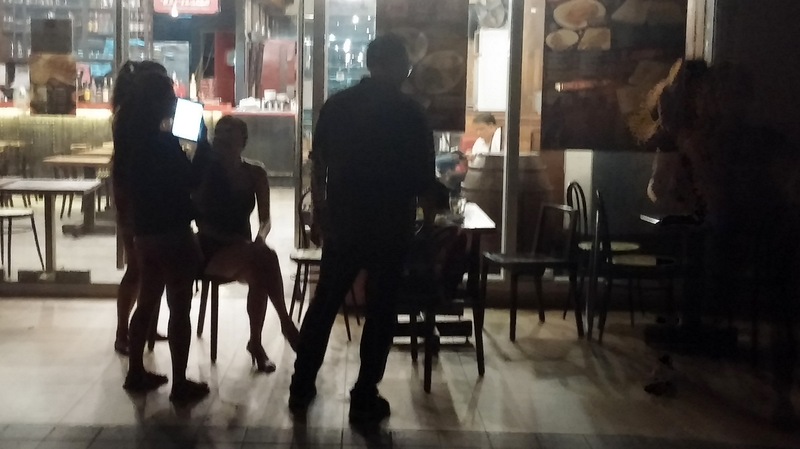 On Wednesday, Café Havana at Greenbelt Mall in Makati, hosts salsa, bachata, merengue and kizomba dancing. 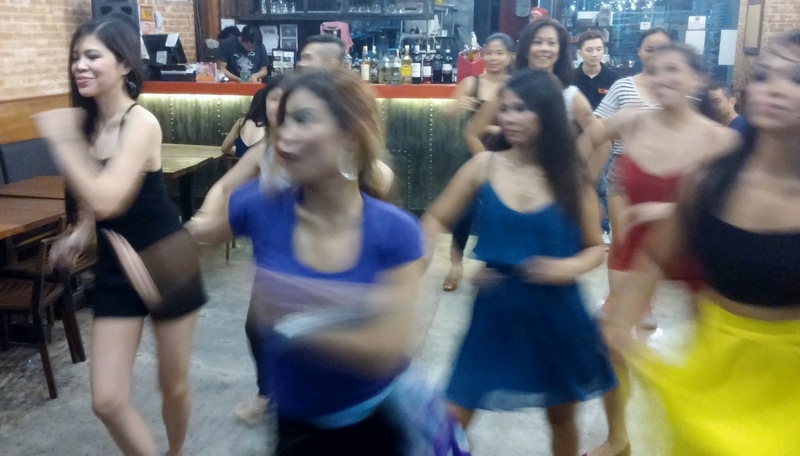 Kizomba is very popular in Manila, and a dance I am resolved to learn. Charm and Eileen showed up and we had a couple of dances. 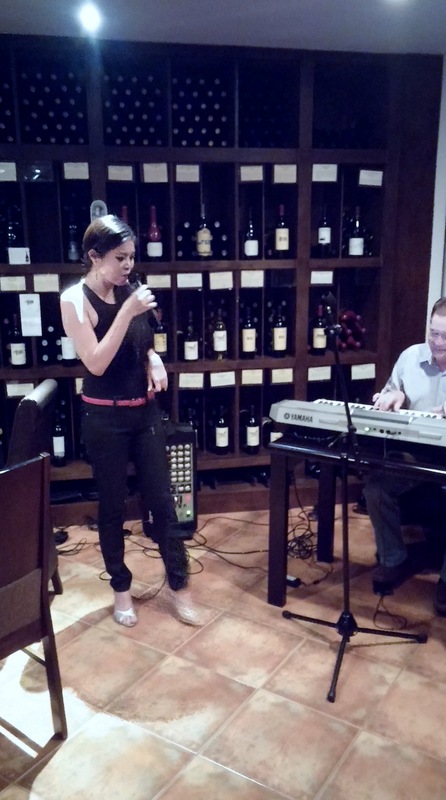 The Wine Club in Legaspi Village, Makati features cool Bossa Nova sounds on Thursday. Eileen Sison treats you to smooth vocals, and Joey Casal is a master of the keyboard and percussion. I dropped in and Yna, her dance instructor/partner, Joe Gabel, and Charm Garcia were there. Charm sat in for a couple of vocals. 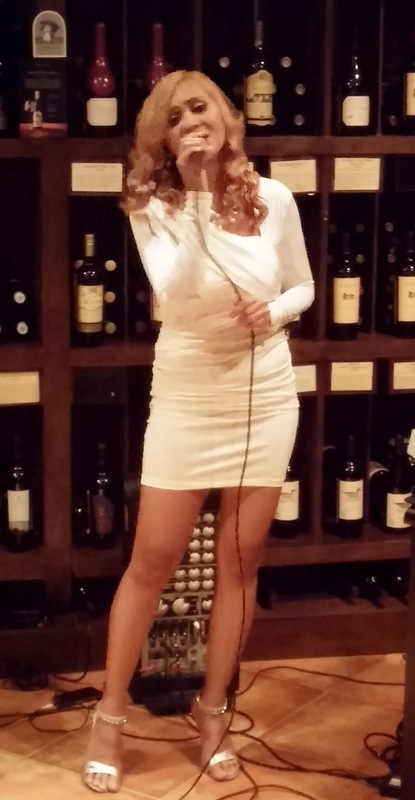 And in addition to doing some wicked Samba, Yna treated us to one of her favorite songs. I had no idea she was a singer, too. Samba is a very energetic dance. I marvel at Yna, Eileen et al. for their ability to Samba so enthusiastically for the duration of these songs. It must be a great workout. Friday night is Brasas night. 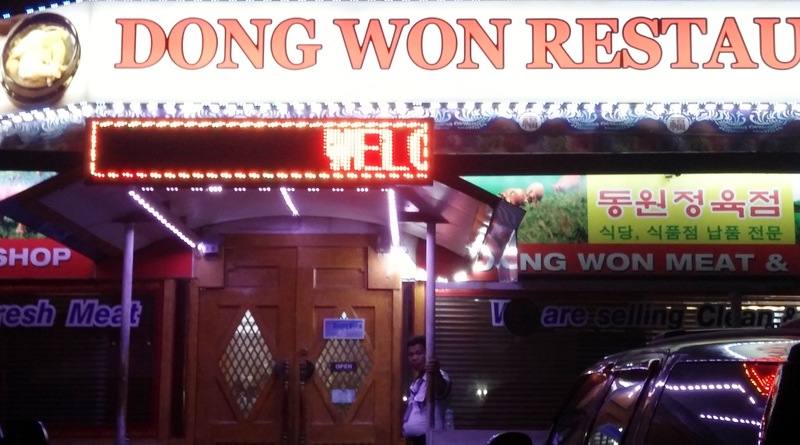 The food is good, and the dancing even better. Just before closing we were treated to some Samba by Eileen’s students. 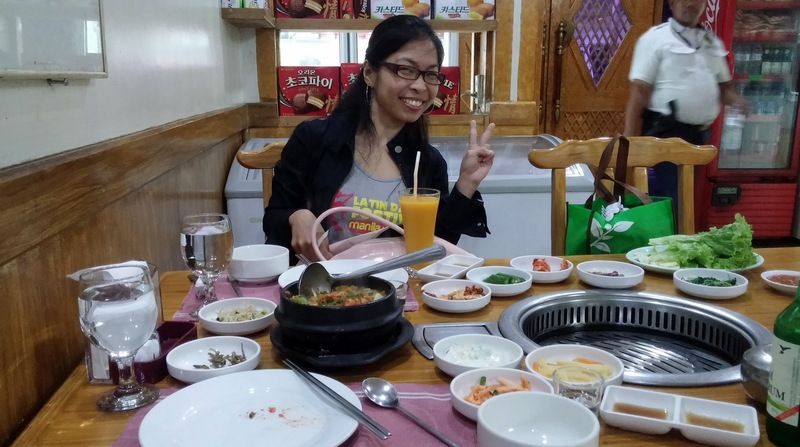 After everyone cleared out at Brasas, Myra Jean Alvarez and I hiked over to a Korean restaurant just off Makati Ave. to for some wonderful Korean barbeque, ponchon, and a little soju. 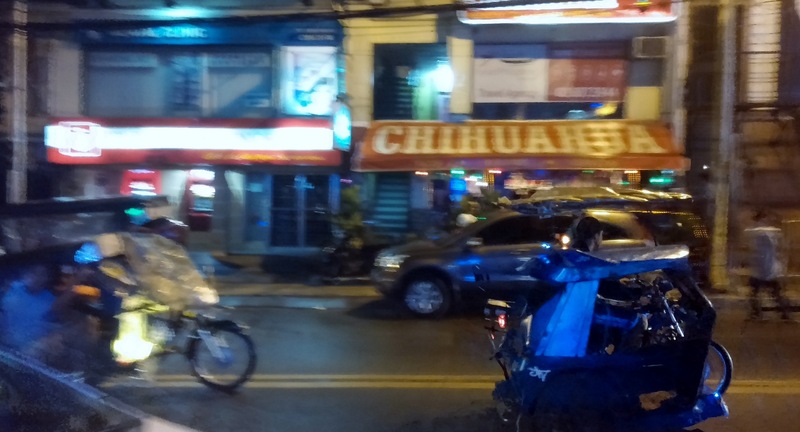 Saturday night it was again time for Chihuahua Mexican Restaurant on Makati Ave. 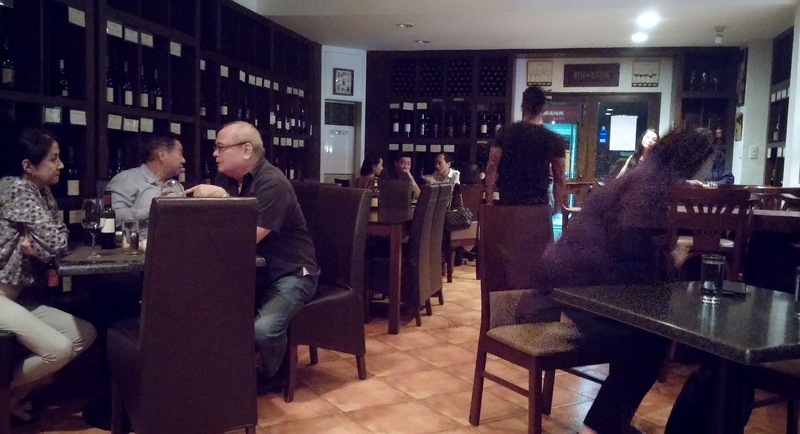 This restaurant also has a location in Ft. Bonifacio. It has Kizomba dancing and other Latin dancing on Thursday and Sunday. I believe it is about a 20-minute taxi ride from Makati. Taxis in Manila are very inexpensive. So my failure to visit this location was due primarily to the abundance of dancing opportunities near my hotels in Makati rather than any difficulty in getting to Ft. Bonifacio. 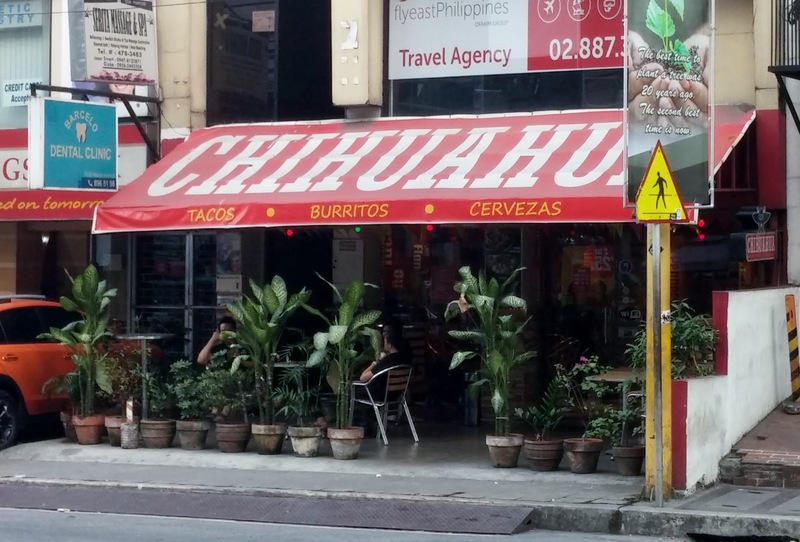 Chihuahua in Makati was jumping. There were a couple of birthday parties that helped to pack the joint as well as the locals and a good number of tourists. I got to dance with a woman from Australia and a woman from Iran. The Iranian lady was a very good and enthusiastic dancer although she remarked that dancing was banned in her home country. In addition to the performances, it was a pleasure to see Charm and her boyfriend, Mike. 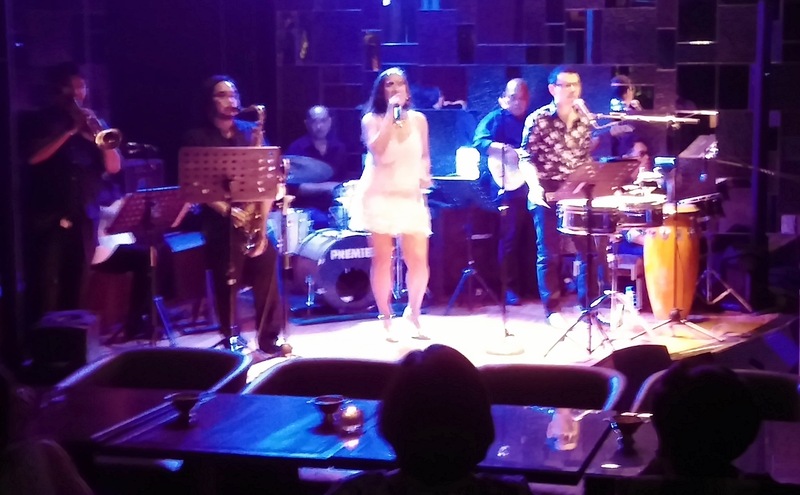 On Sunday night I ventured farther afield from my Makati base to sample latin night at Metrowalk, a shopping and dining mall in Pasig City. Getting there required a 25-minute cab ride, which could have taken a lot longer had I encountered the normal Manila traffic gridlock. Taxis in Manila are very inexpensive. This trip was over 10 miles and cost about $5. 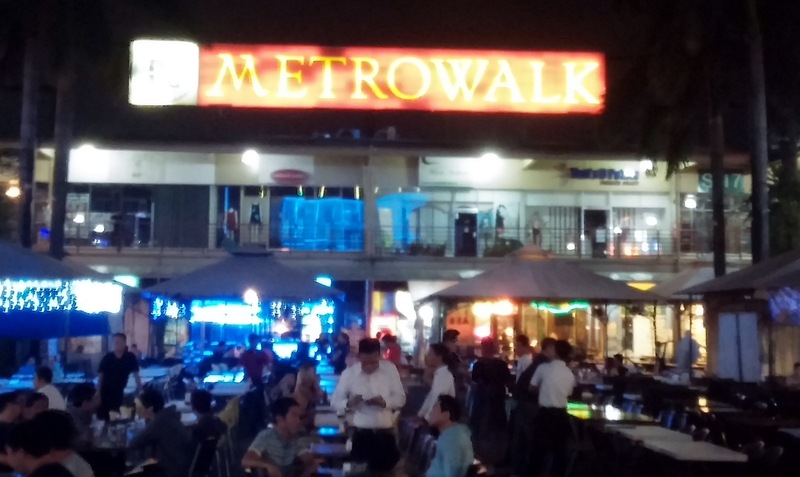 The dance floor at Metrowalk is concrete and is located in a outdoor courtyard surrounded by restaurants and bars. There is plenty of table seating available, and a server appeared to take my drink order as soon as I sat down. A band plays on Sunday nights. 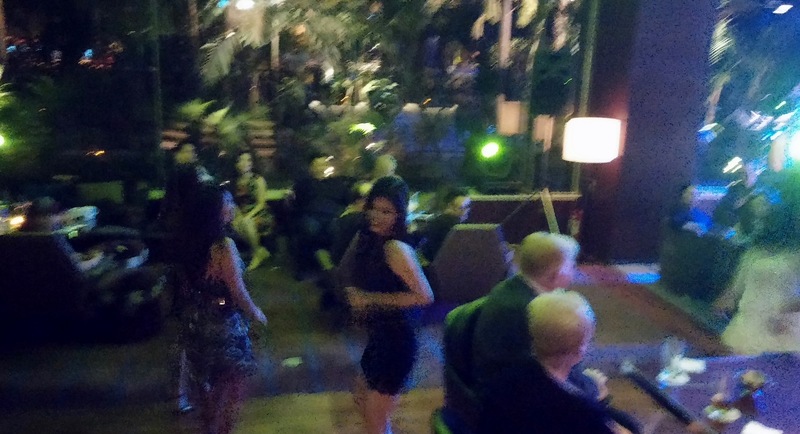 The type of music varies, but during breaks the DJ plays a variety of latin dance music. Not long after I arrived, a lady asked me if I wanted to dance. 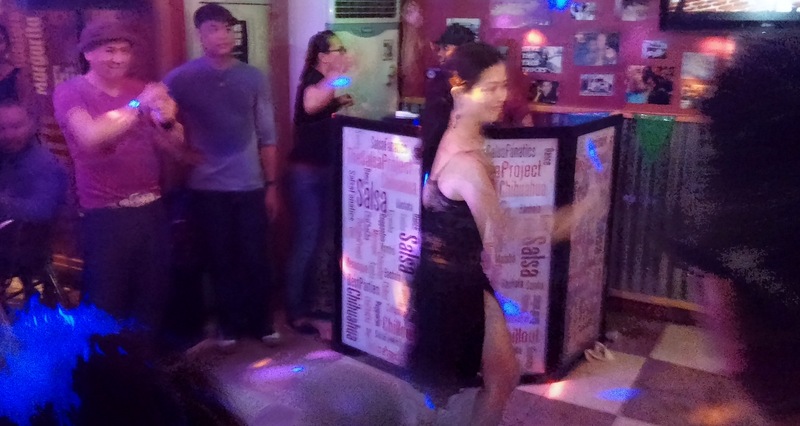 I agreed, and she said it would cost 500 pesos (about $13) for an hour of dancing. She was a taxi dancer, a dance instructor who will dance with you for tips. I resisted the urge to declare that I’ve never paid for “it” in my life. I offered to pay her for one or two dances since I wasn’t interested in dancing with her for a whole hour. She, however, wasn’t interested in my counter offer. The crowd was mostly ballroom type dancers with excellent posture. On the bachata songs they were doing a dance I had never seen before. I should have asked what it was, but I didn’t stay long. 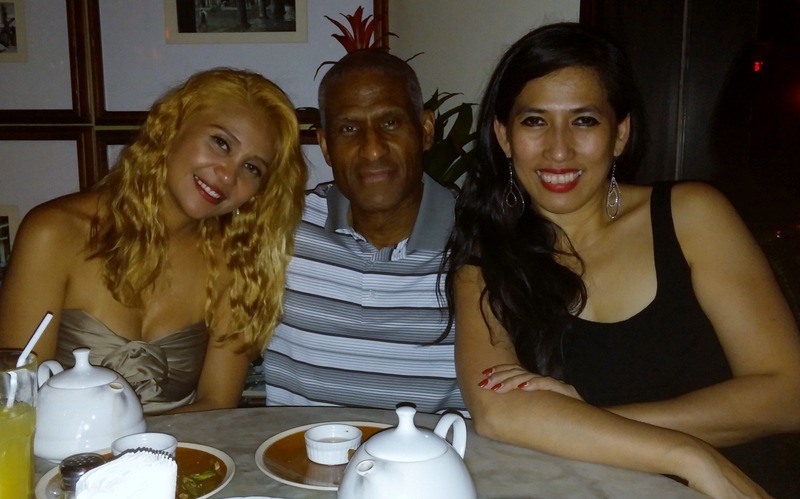 This was my last night in Manila, and after seven nights of dancing I was feeling a little danced out. At least I got to see this venue. Next is the final post for this trip, the flights from MNL to CLT. These flights will be in business class and include a long flight on a KE A380 and its always fun business-class lounge.